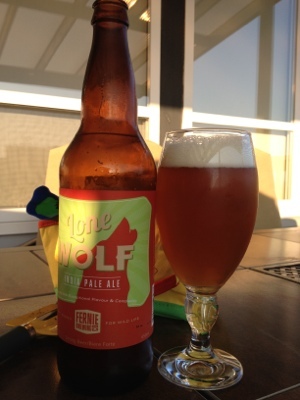 Right after downing an IP’eh on a gorgeous pre-Olympic evening, I turned to the lone wolf IPA. Although not quite as full-bodied, the Lone Wolf holds its own, with excellent freshness, head, and a lingering bite. The first few sips seem just a little more watery. 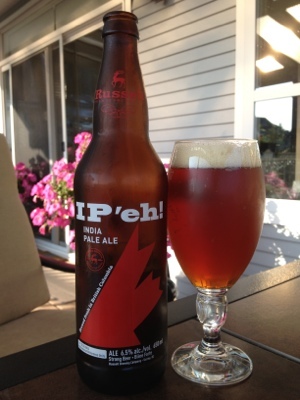 The IP’eh has a little more caramel taste and is just a little better balanced, but also, this isnt really a competition. The Lone Wolf is a very good beer. After a somewhat long hiatus I bring you a gorgeous IPA in the midst of a gorgeous three-day-long Vancouver summer. This IPA has an almost confusing smoothness. One that makes you say “too smooth” followed by ” good bite” walking a tight-rope of taste.